Find me selling and signing books, along with some prints and greeting cards for sale, at Rosenspace, right next to the Arts & Crafts Fair. Come on by and see me and the other vendors. I will be selling and signing books at Made in Kingston, which is a shopping event with various goods made by creative people who live or work in Kingston, NY. It’s really a fun event with lots of high quality gifts to purchase. I will be selling and signing books, plus I will have some greeting cards and a selection of prints for sale. I will be selling and signing books, and selling my prints that are on display at Victoria Gardens. Discounts available on prints. Avoid the mayhem of the big stores and come see us, especially if you’re in town visiting for Thanksgiving. My book signing is just part of the larger event. There are also raffles, giveaways, tastings, free snacks & drinks, facility tours, sales & discounts on ImmuneSchein products. Join me and Nadine Ferraro of NJoy the Ride for a fun evening. You can purchase books that I will sign, and stay for a drink or even dinner. The Rosendale Farmers Market is located in front of Willow Kiln Park, in the municipal parking lot off Main Street behind the Rosendale Theatre. 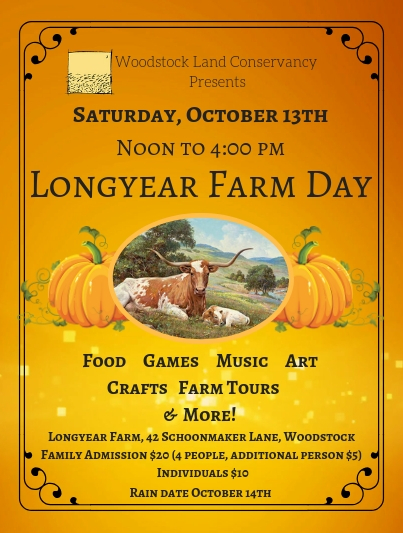 The 5th annual Longyear Farm Day is a beloved community “funraiser” for the Woodstock Land Conservancy with program and exhibitors reflecting farm life and environmental education for all ages. I will be set up at one of the official market booths, selling and signing books and chatting with people. I am excited to be spending my 40th birthday at Keegan Ales celebrating the launch of my book. This will be your first chance to purchase my book in person, and I will also make it available online that day. . If you can make it to Keegan Ales, you can purchase books, I will sign them if you want, and you can hang out and buy a beer and/or some food in a fun environment. This also marks a several week stint of my photos decorating the walls at Keegan Ales, and they will be for sale as well. Books are $40, all taxes included, and $5 per copy will go to local non-profits in Ulster County. For online orders, I will ship anywhere in the US for $6.50 per book, and you can contact me for international shipping options. My photos are always available at Victoria Gardens, and I will be there during times listed here to chat and discuss my photos. Everything is available for purchase, but feel free to come say hi and check it out even if you're not in the market for a photo. Celebrating my new and improved display! Everything is available for purchase, but feel free to come say hi and check it out even if you're not in the market for a photo. Art Foray presented by Wired Gallery. 31 artists. Free access to Mohonk. 10 AM to 6 PM each day. My official homecoming event after traveling for the first half of 2016. This will be your first opportunity to see several large prints from my 2016 travels. A Juried Art Show, Sale, and Fundrasiing Reception presented by The Jewish Federation of Kingston. Admission fee required.